The Pledge of the Computing Professionals is an organization to promote the notion of computing as a recognized profession at the time of graduation for students in Computing Science and related programs. The Pledge is modeled after the Order of the Engineer. The Pledge of the Computing Professional is solely intended to promote and recognize the ethical and moral behavior of graduates of computing-related degree programs as they transition to careers of service to society. Questions? 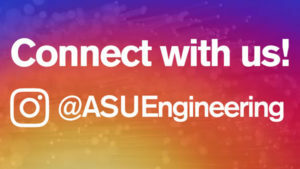 Contact Student Engagement at orderoftheengineer@asu.edu.